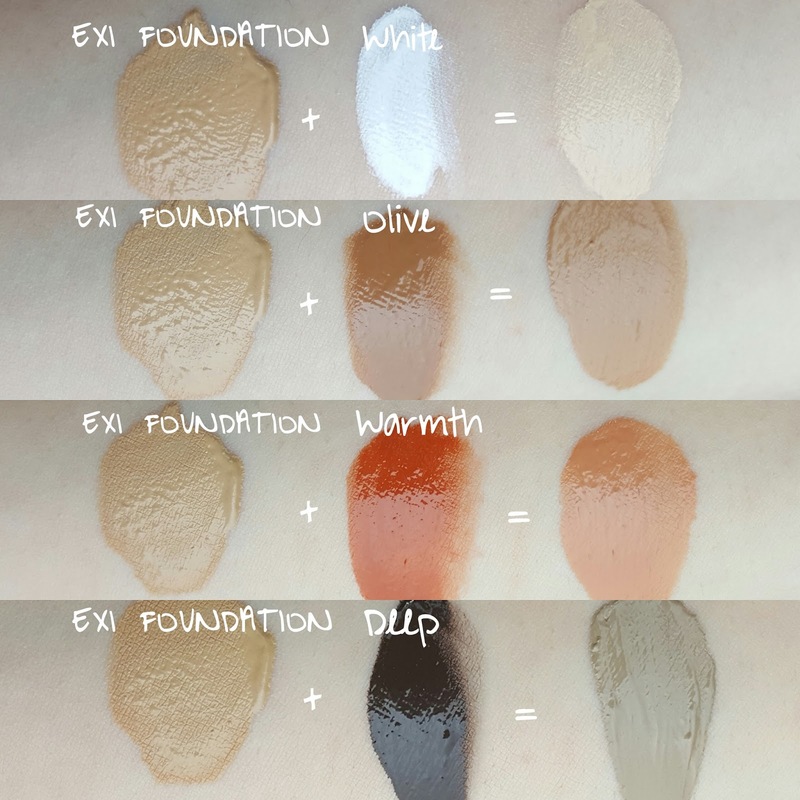 If you read my last blog post on some $3 liquid lipsticks that I picked up, then you probably already know how excited I am that such a mainstream brand like NYX has taken a professional product like foundation mixers and brought it to the masses. In my opinion, this is a product that can be very useful for people who don't necessarily want to buy three or four shades of the same foundation to transition them through the seasons. Likewise, this is perfect for makeup artists on a budget that can only afford to stock a few foundation shades in their kit. Regardless of your situation, I knew how beneficial a product like this could be and decided to put it to the test, not only on myself, but also on my clients as well, just so I could bring you the most thorough review possible. The NYX Pro Foundation Mixers are liquids tinted with pigment in a squeeze tube packaging. They are meant to adjust the shade, undertone, or finish of the foundation to meet your needs. This product currently is available in six different "tones"--opalescent, luminous, white, olive, warmth, and deep. These mixers are already available for purchase on NYX's website and Ulta for $10 each. Unfortunately, NYX does not provide much more detail than what I have already written above: "Your custom shade is just a Pro Foundation Mixer away! 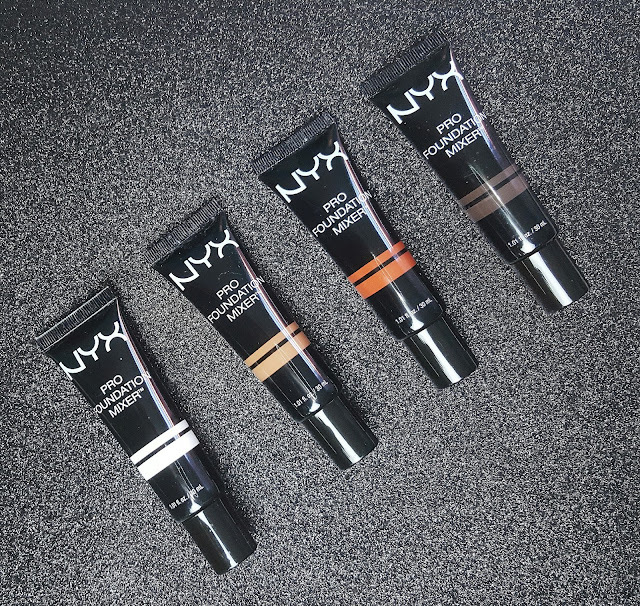 NYX Cosmetics' shade mixers are designed to adjust the tone, shade and finish of any liquid foundation, resulting in a truly perfect match." As mentioned before, there are currently six different versions of this product--four that change the shade of the foundation and two that change the finish. I only own the four that alter the shade of the foundation as those are more useful to myself and my kit. Because of that I will be relying on the information from the website to tell you what the other two do, so let's start of with those, shall we? ♥Opalescent - It is described as a "sheer white with opalescent shimmer". This one may lighten your foundation ever so slightly (nothing ridiculous), but it is meant to give your skin a nice sheen. ♥Luminous - It is described as a "champagne cream with gold undertone". If you are pale this may darken your foundation and turn the undertone a bit peachy. It will be better for medium to deep skintones and is meant to give you that glow from within look. ♥White - A pure white meant to lighten your foundation. ♥Olive - A dark beige with an olive undertone. Best used to give foundations a more yellow undertone. It will deepen up foundations slightly. ♥Warmth - A dark orange that can be used a couple of different ways: You can mix it with your concealer to create a corrector that counteracts dark spots OR you can use it to warm up the undertone of your foundation if you naturally have a more red undertone to your skin. ♥Deep - A deep blackened brown with a grey undertone. It can also be used in a variety of ways, such as deepening your foundation or creating a liquid/cream contour shade. May need to be combined with Warmth/Olive to bring foundation back to a natural skin tone. Using this product can be quite fun as it involves you being hands on in the experimental process and figuring out how much of each you need to get the best matching foundation possible. In my experience, the amount of mixer you will need to adjust the shade of your foundation directly depends on how thick & pigmented the base product already is. For instance, if I were using a thick, full coverage foundation like the Urban Decay All Nighter Foundation, using a 1:1 ratio of foundation to mixer will alter your foundation by only one shade. However, if I were altering the shade of a thin tinted moisturizer, a 1:1 ratio would have a much more drastic difference. The good thing is that as you're mixing your base "ingredients" together on the back of your hand or on a palette, you will be able to tell how off you are -- if you need to add a little more depth or warmth for example. The NYX Pro Foundation Mixers are a revolutionary product for the drugstore. I honestly never would have thought that such a mainstream brand would be considerate enough do this as it might mean consumers will buy less foundation, so kudos to them for doing so. That being said, this product is not necessarily beginner friendly. You may need to brush up a bit on color theory to figure out the best way to mix the shades, however, anyone can definitely use it with a little bit of patience and practice. Just for reference, I have shown an example above on how I mixed two of the pro foundation mixers with my foundation in order to get my perfect tanned shade. 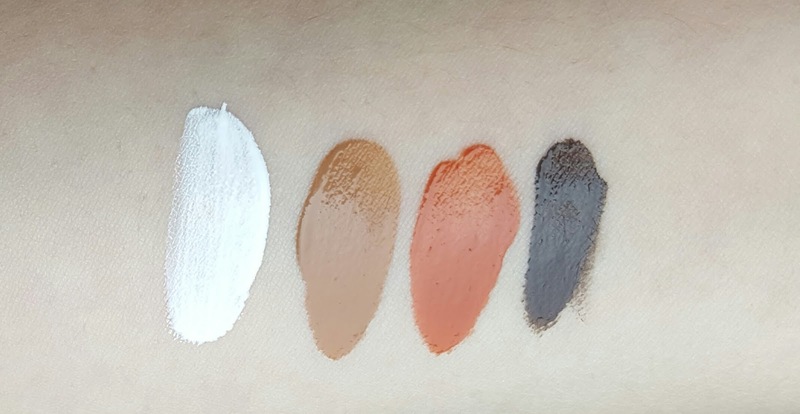 If I were to offer one bit of criticism, I do wish the Warmth shade were a tad more red and that the Deep shade were more neutral instead of grey, just because I find that when mixed with a foundation, they don't offer a natural skin tone on their own. Overall, though, I highly recommend this product. I don't think everyone needs it, but if you do need access to a variety of foundation shades at any given time, this will make for an excellent addition to your collection.